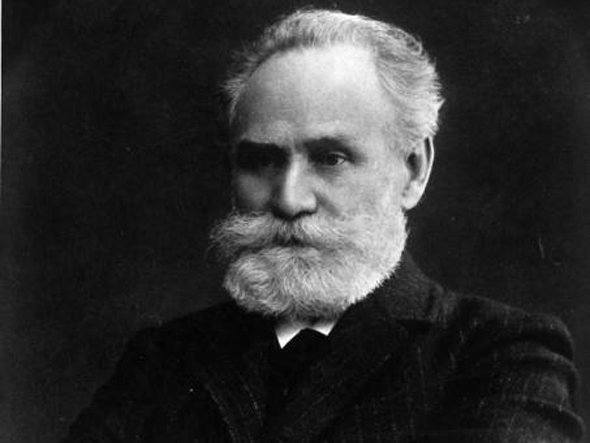 1903 - Ivan Pavlov discovers Classical Conditioning Theory, while conducting research on the digestive system of dogs. Later classical conditioning theory was applied to humans by John B. Watson. 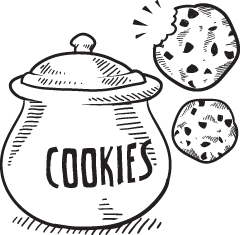 Check the Instructional Design Models and Theories: Classical Conditioning article and presentation to find more. Classical conditioning was first described in 1903 by Ivan Pavlov, a Russian physiologist, and later studied by John B. Watson, an American psychologist. It’s an automatic/reflexive type of learning that occurs through associations between environmental and natural stimuli with the use of a neutral signal before the latter. Now, it constitutes one of the two most notable forms of associative learning, i.e. making a new association between occurring events. The other form is Operant Conditioning that focuses on using either reinforcement or punishment to maximize or minimize a certain behavior. While doing research on the digestive system of dogs, Pavlov encountered a phenomenon he labeled “psychic reflexes”. His experiment involved the use of a buzzer or metronome and the subsequent presence of meat powder. He would ring the buzzer, and then observe the dogs’ saliva production at the presence of the food. Over time, however, Pavlov noticed that the dogs would salivate even before the meat powder was presented, as a reaction to the buzzer’s sound. This is what brought the idea of a “conditioned response” to a particular stimulus. In psychology lingo, the meat powder is the unconditioned stimulus (UCS) and the dog’s salivation is the unconditioned response (UCR). The buzzer is a neutral stimulus that serves as a bridge until the dog learns to associate it with the food. Then it becomes a conditioned stimulus (CS) that generates the conditioned response (CR), namely salivation.John B. Watson extended Pavlov’s experiment and applied it to humans. His research involved an 11 month old infant, a white rat and the generation of a loud noise. The goal was to make the baby feel afraid of the rat, by associating the latter with the noise (UCS). Once, the rat was repetitively paired with the noise, the baby started developing a certain fear. One of the experiment’s conclusions was that classical conditioning can cause some phobias or anxiety problems in humans. In order to understand how classical conditioning works, it is important to know its basic principles. The unconditioned stimulus is the one that automatically triggers a response. For example, if the smell of food makes us hungry, then this smell is the unconditioned stimulus. The unconditioned response is the unintentional reaction that occurs when a person is triggered by the unconditioned stimulus. In the above mentioned example, it’s the feeling of hunger in response to the smell of the food. The conditioned stimulus is the neutral signal that, after being paired with the unconditioned stimulus, triggers the conditioned response. So if we’d repeatedly hear a certain sound together with the smell of the food, then eventually this sound would trigger the conditioned response (the hunger). Consequently, this sound would be the conditioned stimulus. The conditioned response is the learned response to the neutral signal, namely the feeling of hunger. Classical conditioning can be applied in the classroom, for the creation of a pleasant environment to help the students overcome their anxieties and fears. For example, if we pair public speaking, which is an anxiety-provoking situation, with pleasant surroundings, then students will eventually learn to stay relaxed and calm during their presentations. Another example of classical conditioning is taste aversion. When we consume too much alcohol, then we usually associate its smell or even sight with the sickness that resulted from its consumption. This is also known as biological preparedness. Classical conditioning can also be applied in a doctor’s office that by definition causes a certain amount of fear. For example, let’s suppose that we regularly have to visit a clinic to get shots; something that takes place in a small room. The shots alone cause an increased heart rate. However, over time the simple visit to the clinic causes an increased heart rate, even before the shot. Another prime example of classical conditioning is after a car accident. If we have been through a car accident, even the sound of squealing brakes, metals crashing and glass breaking will make us cringe or even break into a sweat. A New Instructional Design Model Will Be Added Every Week! You are more than welcome to let us know if you would like us to cover an instructional design model and theory that is not included at Instructional Design Models and Theories. Simply leave a comment at Instructional Design Models and Theories. Last but not least, you are more than welcome to embed the Classical Conditioning Theory presentation at your site of blog. If you have a question that needs an answer concerning the Classical Conditioning Theory do not hesitate to leave a comment and I will reply you as soon as possible.